TALLAK! 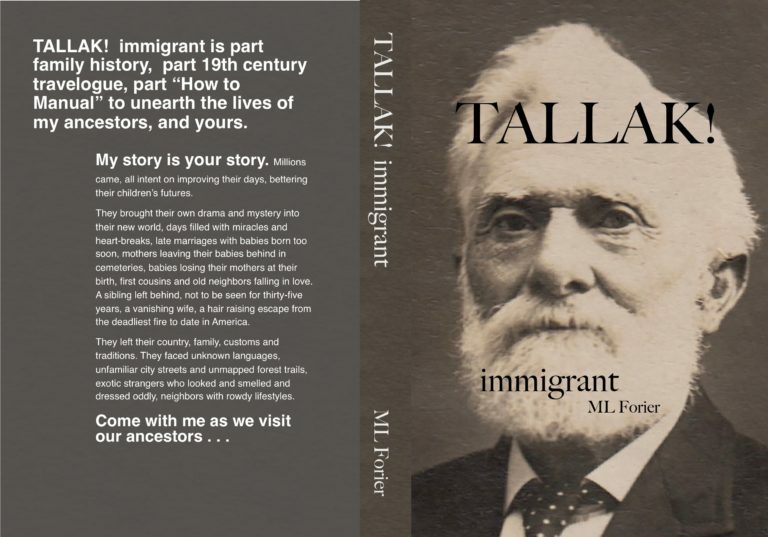 immigrant tells the story of the everyday lives of 18th and 19th century immigrants. They loved their home country, but didn’t have much time to mourn that loss, as they worked and loved and lived in the country they had chosen to begin their new lives. Where else can you find TALLAK! immigrant? If you live in my home of Tucson, Arizona, go straight to Antigone Books on 4th Avenue. You will find TALLAK! at the Novel Bay Bookstore on 3rd Avenue. Check out their website right here. OR Ask for TALLAK! at your favorite bookstore. Click to learn more about . . .